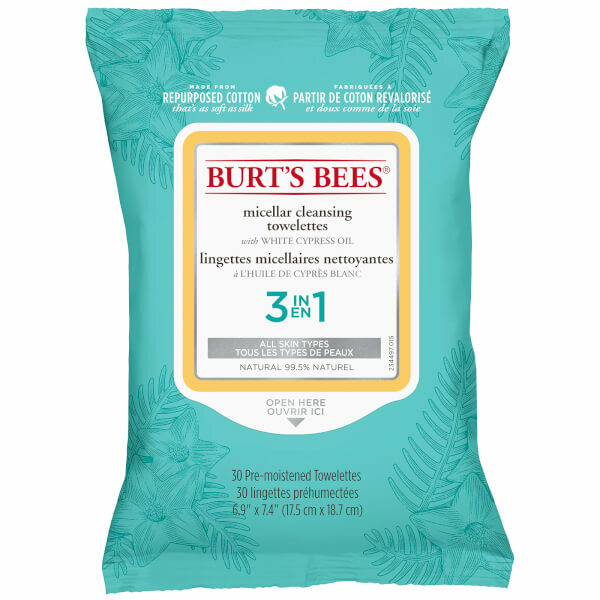 Revitalise skin on-the-go with the Micellar Cleansing Towelettes from Burt's Bees. 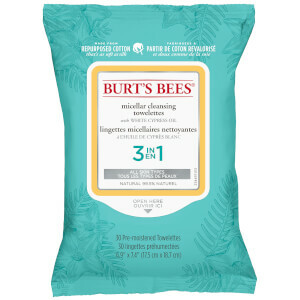 Infused with Honey Extract and Australian White Cypress Oil, the pre-moistened face wipes gently eliminate dirt, makeup and excess oil without harsh rubbing or rinsing. Expect a soft, comfortable and healthy-looking complexion. Housed in resealable packaging. Aqua, Pentylene Glycol, Mel Extract, Callitris Columellaris Leaf/Twig Oil*, Lactic Acid, Sorbitan Oleate Decylglucoside Crosspolymer, Glycerin, Alcohol, Potassium Sorbate, Sodium Benzoate, Limonene *White Cypress Oil.